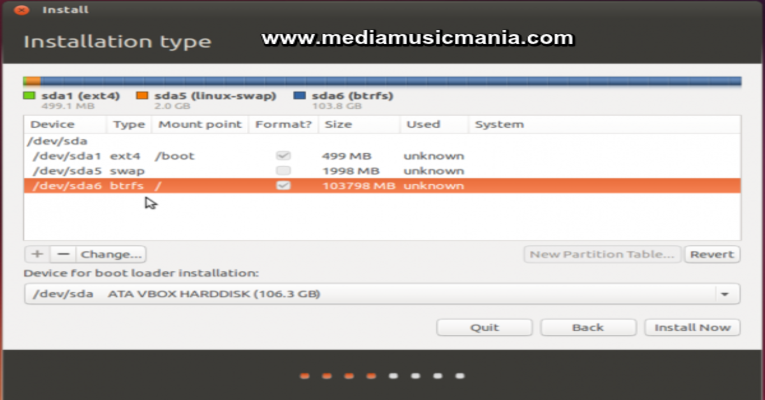 By this useful Article I guide you that how to maintain Linux partitions. Linux is very popular Open Source desktop System. Linux is widely used in all over the world because Linux is free and open Sources, Linux provide us Free service and all software totally free and other applications. Some very popular Linux Distros are very easy to use and also very useful such as Ubuntu, Linux Mint, Linux Bodhi, Linux Open Suse, Red Hat Linux are very popular. Now I am writing this article that some peoples creating problems and technical difficulties to make Hard Disk Partitions for Linux systems. You have already read lot of tutorials but this is very different, I guide step by step tips and suggestions, it is very different between Windows Partitions and Linux partitions. The following requirement to need Linux Partitions. 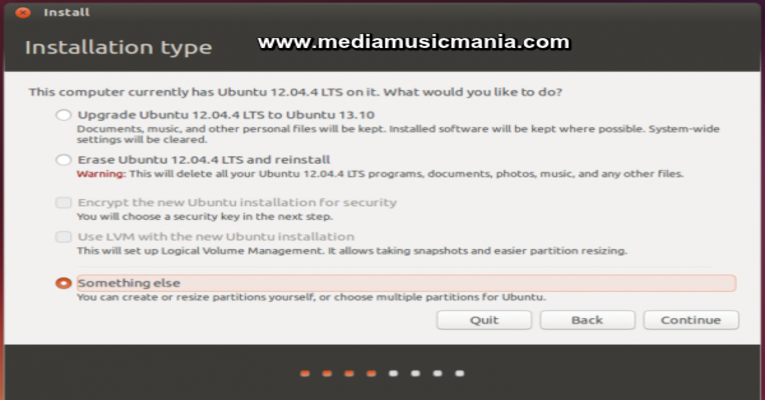 The First step is that download latest Linux distro as per your choice, I advice that use Linux Ubuntu or Linux Mint Latest Editions from their concerned Official Site. Make your Bootable DVD or CD, or Bootable USB Flash Drive and boot your system properly, after boot you will see following picture for further partition process. During the installation when you will reach the partitions stage installation type select the something else you can create or re-size partitions yourself for choose multiple partitions according your choice. after that you will find the following picture. 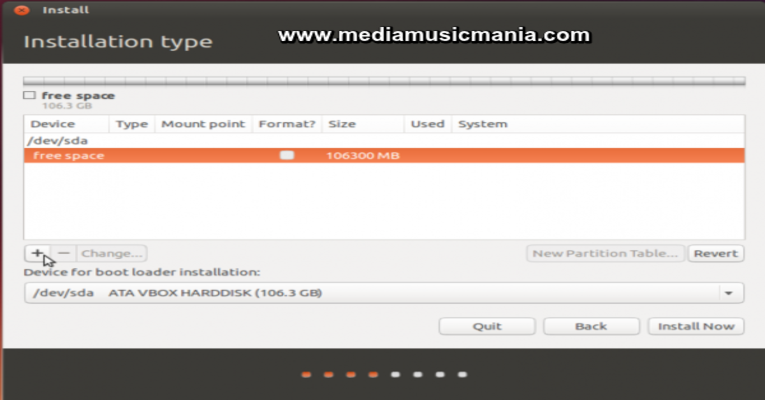 After pressing of "Continue" button, now you want to entire device to use in partitions and you want to make current partitions your all existing partitions will be removed, if all your previous partitions still avail there, select the size of the partitions and use to minus icon to remove them see the picture has given below. Now you have done the above process, you have used minus button to remove existing partitions, after that you will find freed the disk space see the picture has given below. In view of above, now you have done Partitions on Linux Based System is ready and click on (Install Now Button) and install any Linux Distro on your PC, I recommended that use latest Linux Mint or Ubuntu it is very easy and fast and very popular Linux Distros. I hope this Article will be very useful like other Linux Tutorials.